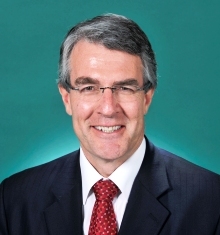 Parliamentary Secretary for Climate Change Mark Dreyfus huffs and puffs in The Australian today, having been found out by Henry Ergas last week of planting poison pills in the carbon tax legislation. Dreyfus attempts to explain it all away by citing “certainty” – i.e. it’s certain that we’ll be screwed under this legislation. Ergas refers to carbon pricing in Australia as “unilateral action” and claims it will undermine our international competitiveness. This ignores the fact 89 countries, accounting for more than 80 per cent of global emissions and more than 90 per cent of the global economy, have pledged to reduce or limit emissions by 2020 under the UN Framework Convention on Climate Change. Could you be any more economical with the truth? Dreyfus’ statement is utter nonsense. The Copenhagen accord is non-binding and is barely worth the paper it is printed on, so to say they have “pledged” is simply weasel words for talking big to get a shaky agreement. The US, China and India (which make up nearly 50% of emissions globally) are doing NOTHING. Yeah, maybe China is making the right noises about cutting carbon intensity, but absolute emissions will continue to rise for decades. Ditto India. And the US is more worried about GFC Mk II than tackling climate change. The claims made by Dreyfus just don’t hold up. Key economies are already constraining emissions or emissions growth. Emissions trading schemes have operated for years in 31 European countries, New Zealand and in 10 US states. New Zealand emits precisely square root of sod all. The “10” states in the RGGI (actually only eight since New Hampshire and New Jersey announced they were pulling out) make up a tiny token gesture. The EU ETS is in the process of helping to reduce the European economy to rubble. What a great act to follow! California, the world’s eighth largest economy in its own right, will launch its ETS next year. Wrong. The moonbat state has delayed it until 2013, which isn’t “next year”. Duh. … and who can forget Mark Dreyfus’s other contribution to the Climate Change debate in Australia … save the earth – kill a camel. Just like a 10c deposit for the return of glass and aluminum containers, camels can earn you the next best thing to cash – carbon credits. “A camel produces methane equivalent to one ton of of carbon dioxide a year, making the animal one of the country’s biggest greenhouse gasses emitters,” said the Department of Climate Change and Energy Efficiency Mark Dreyfus. I live in one of the ten RGGI states. There are so many excess credits in the system that only 30% of those available will be traded and at the floor price of $1.87 US. Truth is the first casualty in war and the warmists are definitely waging a propergander war on anyone who has the gall not to swallow the AGW myth without question. Working it out from the Internet, is seems that if one walks a kilometre and stops at the end, pulling a hair from one’s head and putting it on the ground, the actual width of that hair represents the proportion of CO2 in our atmosphere !! Yet we have so many people, including some who have made millions of dollars out of it, telling us that it is the CO2 proportion of our atmosohere that will kill us all off, cause the seas to rise dozens of metres and raising our earthly temperature until we are all boiling. Labor politicians are deaf to any criticism from the electorate and are not amenable to rational argument. The consequential corollary is that most of the electorate have completely given up believing anything coming from the mouths of Labor politicians. Wish this were a dream. UN Agenda 21 explains all. World governance is nearer than you thought. Check the web to see how many governments and local council are already caught in the web. They are basically aiming for an non-industrial economy supporting less than 1 Billion people by 2030. They looked for a scare campaign to justify world governmance. The carbon myth is it. World PLEASE WAKE UP. Sack this government now. Now-now.